Are you looking for an opportunity to help look after the Trans Pennine Trail? With over 370 miles of the Trans Pennine Trail our Volunteer Rangers fill a vital role acting as our eyes and ears on the ground. A perfect excuse to get out into the countryside, whether you’re a walker, cyclists or horse rider. The scheme operates in association with Sustrans, the sustainable transport charity that has developed the National Cycle Network. 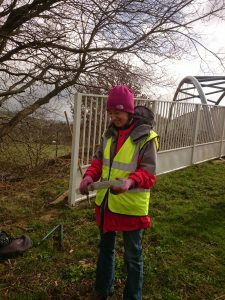 As a Volunteer Ranger you will be invited to a welcoming induction session where you’ll find out all about your role and how it links with the TPT and Sustrans. 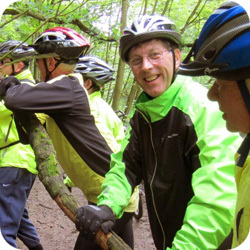 You will also be introduced to your Group Coordinator and have access to Sustrans’ VolunteerNet, a great resources for Volunteer Rangers, new and existing. Each volunteer takes on a stretch of the Trail close to their home to make it easier for you to carry out regular inspection trips on the Trail. There are a variety of activities that volunteers can get involved in, including organising clean ups on the Trail, trimming branches, putting up temporary signs and waymarkers, running guided rides or walks, and much more. While Volunteer Rangers look after their own stretch there will be plenty of opportunity for you to get together with others in your area, or even further afield, to help with work days and promotional events If you come across a problem on the trail part of your role will be to make sure this information is sent to the national TPT office and also your Group Coordinator. The national TPT office will liaise with the relevant Local Authority to ensure the fault is reported and also recorded for future monitoring purposes. So, if you have a passion for the Trail and would like to see it protected for future generations to enjoy, please get in touch – all you need is enthusiasm, the ability to get out onto your local section regularly and some free time. To find out about what areas our Volunteer Rangers cover across the Trail please visit the Group Coordinator section.